The Herb Room is our in house herbal pharmacy. It allows us to give our patients access to high quality custom and pre-made herbal formulas that they can take with them after their treatment or exam. This will provide faster results. Chinese Herbal Medicine can be used alone or in conjunction with acupuncture. These Chinese herbal medicine formulas are customized and made for your unique condition, as your acupuncturist will blend single herbs together to create a formula that you can take on a daily basis and it can be adjusted as needed. These formulas are based on Traditional Chinese Herbal Medicine and are made from plants, flowers, berries, roots and minerals. Please inform your acupuncturist about any known allergies, medications and Western medical issues you may be experiencing. Schedule an examination with our acupuncturist to learn more about the benefits of Chinese Herbal Medicine. 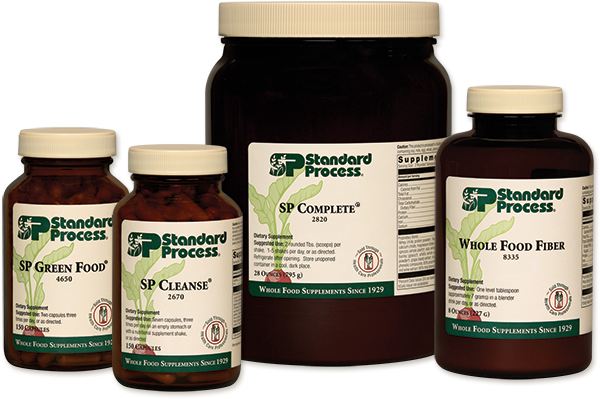 We carry complete line of Standard Process high qualityfood-based supplements and detox cleanses made here inthe Midwest.